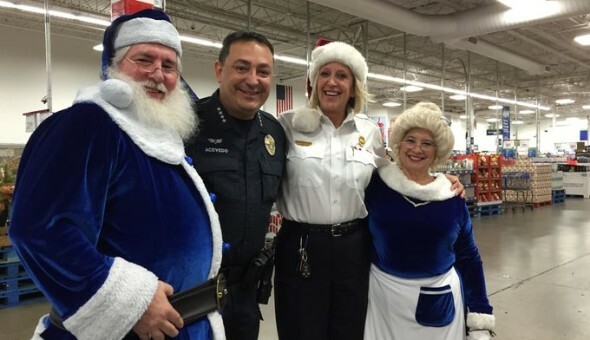 Austin Police Chief Art Acevedo and Austin Fire Chief Rhoda Mae Kerr sped through Sam’s Club Friday morning, collecting all the items they could find in a three-minute period. 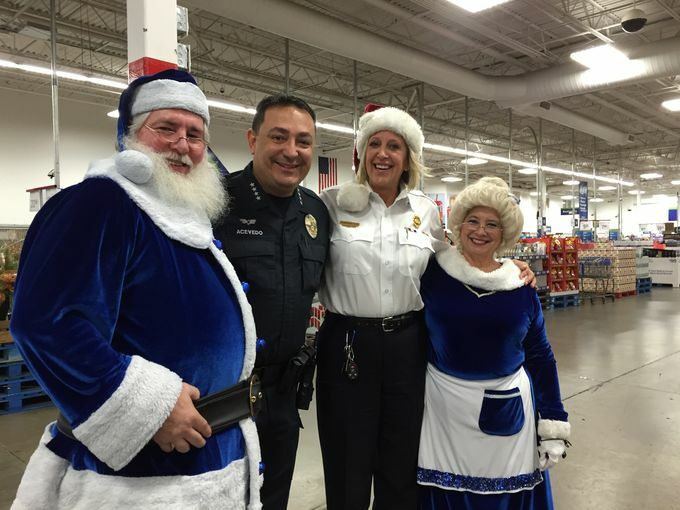 The shopping spree, sponsored by local business RetailMeNot, challenged Acevedo and Kerr to a shopping spree in Sam’s Club in South Austin to collect $15,000 worth of merchandise to help support Operation Blue Santa. The local non-profit is organized by the Austin Police Department, with help from the Austin Fire Department, Austin Energy, Austin Water Utilities and Texas National Guard. The goal is to provide Central Texas families with a full holiday meal along with Christmas gifts for each of the children. The leaders of Austin police and fire snagged almost $7,000 worth of items with RetailMeNot donating an additional $8000 to the charity. All items collected will benefit Operation Blue Santa. Go here for more information on Operation Blue Santa.